It's all the movie's fault. 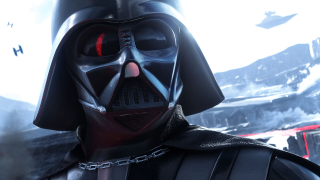 A prominent criticism of Star Wars Battlefront was the lack of a singleplayer campaign. But in a recent investor broadcast, EA boss Patrick Soderlund said this was a conscious decision. They wanted to "launch the game side-by-side with the movie to get the strongest possible impact." That movie being, of course, The Force Awakens. EA recently announced a sequel to Battlefront, which is set for release in 2017, but they haven't said whether that game will have a campaign mode. One of their goals for the sequel is to improve on the first game's Metacritic score, which currently sits at 75. "I think the team created a really good game based on the premise that we had," said Soderlund. "I would say the game has done very well for us and reached a very different demographic than a traditional EA game. So from that perspective, it's a success. Are we happy with the 75 rating? No. Is that something we're going to cure going forward? Absolutely." Battlefront wasn't a bad game, but it was far too shallow. After the initial thrill of being in Star Wars wore off, there wasn't much depth to uncover, as we explore in our Battlefront review. Hopefully EA and DICE give the next one a bit more substance.